This morning I came across the following article from Mail Online (the Brittish newspaper “The Daily Mail“). I don’t have time to write much lately as I’m preparing to give a speech for the Danish Cancer Society in my hometown. I’m nervous and very excited to be doing this. Dairy is one area that I will be talking about. If you’ve read any of my previous posts, you know that I have BIG issues with dairy and it’s association to cancer and other serious illnesses! Men who consume dairy products are at higher risk for prostate cancer. 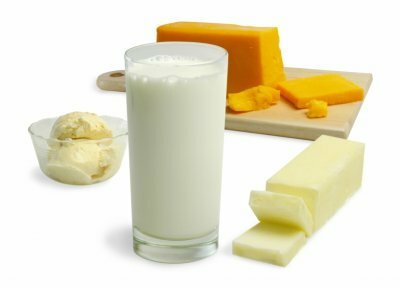 Dairy consumption increases IGF-1 (insulin like growth factors). It’s similar to cholesterol. As Dr. Barnard asks, “What is milks job? It is to make a little baby calf grow very quickly.” This includes not just proteins, fat, sugar, but also growth hormones. If you mix IGF-1 with some breast cancer cells in a test tube they grow like CRAZY! IGF-1 is a very potent stimulus for cancer growth! A man or a woman who drinks 3 glasses of milk per day has a 10% increase in their blood. This happens very quickly! All you need is one little cancer cell looking for some action and you add dairy which acts like fertilizer to that cancer cell! It is NOT a healthy choice for anyone! Ummm. Before stumbling upon your post I was ignorant of the correlation between dairy and cancer. The explanation given (IGF-1) makes sense. I’d even bet eating chickens injected with growth hormone could also = cancer.I come from Honduras and there cancer is extremely rare. I found an article listing the countries with highest cancer rates and the U.S. ranks #7 and Honduras #56. I already knew that there were a lot of culprits in the “American diet” that resulted in so much cancer. 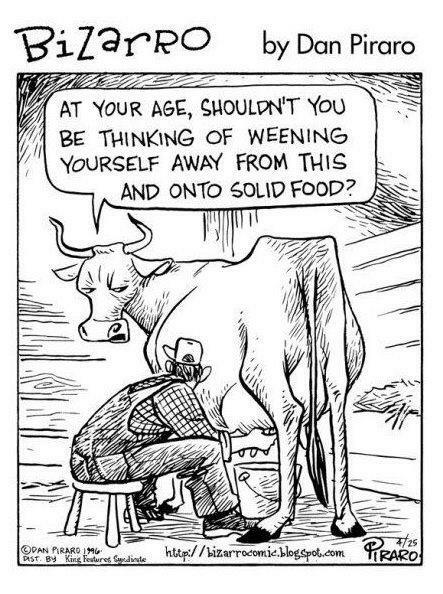 Well luckily my family (mother and sister) and I gave up dairy many years ago. We now consume unsweetened almond milk. It’s been 10 years since we moved to NYC from Honduras. You’re Welcome! Glad you stumbled across my blog and thank you for sharing! Yes, I’m positive that the growth hormones that these animals are given are also a large culprit in the rising cancer rates. Positively, I think that there’s a shift in consciousness happening as more and more people become aware of these dangers! I wish you every success with your project and I admire your dedication to it. I’ve just started following you on Twitter (I’m @happyspud1). Like you, I’m greatly concerned about the effect of our food choices on the environment as well as our health. If you Google “Oppenlander Food Choices and Sustainability” you’ll find a great lecture on the enormous environmental damage caused by the over-consumption of animal foods. Thank you so much, Dr. Walsh, for your kind words & for the Twitter follow! Also, thank you for the Oppenlander recommendation. I checked out the book on Amazon & it looks great! I’m well aware of these critical issues – after taking Dr. T. Colin Campbell’s course through eCornell, which also goes into this! The subject of sustainability and the future of our planet is a great concern – I noticed it’s also one of yours. Here’s an article a friend sent me the other day. I’d be curious to hear what you think!